Fast, easy and uncomplicated - that sums up the EYEMATE sensor system developed jointly by Duisburg's Fraunhofer Institute for Microelectronic Circuits and Systems IMS and Hanover's Implandata Ophthalmic Products GmbH (Implandata). It is a real innovation in intraocular pressure measurement. EYEMATE is sure to make life easier for glaucoma patients and their eye doctors. This implant provides actionable information to optimize the therapy for patients afflicted with glaucoma. 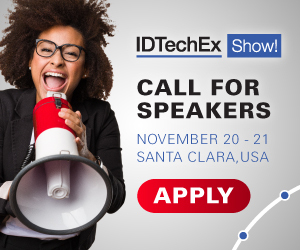 For more information see the IDTechEx reports on Technologies for Diabetes Management and Wearable Sensors. Out with the old and in with the new - there is a steady coming and going of fluid called aqueous humor in human eyes. But intraocular pressure rises if the amount of newly produced aqueous humor exceeds that of the draining fluid, which can permanently damage or even kill the optic nerve. This condition is called glaucoma. People who are afflicted with this disease are generally unaware of the condition in the early stages. It goes unnoticed until it kills enough optic nerve cells to impair vision. Intraocular pressure has to be brought down and kept in the normal range to prevent glaucoma from spreading and causing further damage. This can be done with medication, eye drops or, in advanced stages, with surgery. Choosing the right therapy is paramount when treating glaucoma. To this end, the treating physician has to know the pressure level in the eye and its fluctuation over time. Prevailing measurement methods are poorly suited to gather enough data so as to reveal meaningful insights. The main problem is that these measurements are usually taken in a doctor's office, with too much time elapsing between sessions. Also, pressure can rise to harmfully high levels several times a day, so the likelihood of these readings going undetected is very high. This increases the risk of a physician opting for the wrong therapy many times over. Now scientists at Fraunhofer IMS have managed to solve this problem. "In a joint effort with Implandata, we developed EYEMATE, a microsensor system that enables patients to take contactless pressure measurements of their own eyes at any chosen frequency," says Fraunhofer IMS's Michael Görtz, reporting on this development. A sensor implanted in the eye gauges pressure and temperature. A hand-held reader records, digitizes and displays results; all the patient has to do is hold it in front of his or her eye. It takes the eye's pressure and temperature readings in a matter of seconds - precisely, at any time and without touching the eye. With a data pool many times larger than what with conventional techniques can gather, attending physicians can apply the right therapy right away. The device's readings can be downloaded, digitized and uploaded to cloud memory. The attending physician can access patient data at any time to check and assess the disease's progression and, if necessary, adjust the therapy on the spot. The patient no longer has to stop by the practice to this end. Patients may also access these data directly via a smartphone app, track their intraocular pressure readings and take the appropriate action if the pressure rising to alarming levels. The benefits increase with frequent application: the more often the patient uses the reader, the more meaningful the readings and the more personalized the therapy options. Fraunhofer IMS in Duisburg developed the semiconductor circuit that serves as an intraocular pressure sensor. It is a passive microsensor activated by the reader. Implandata received CE approval for the sensor system in mid-2017 after the intraocular pressure sensor was validated in a clinical study at several hospitals in Germany. This study has already shown that the device breaks down the barrier and boosts patients' motivation to take regular measurements, leading also to improved therapy adherence and compliance. Perhaps even more importantly, it enables the ophthalmologist to personalize the therapy and make the necessary adjustments at an early turn. This protects patients against irreversibly impaired vision. "In April 2018, alongside an initial market launch targeting Germany/Austria/Switzerland, Implandata secured substantial funding to further reduce the sensor implant's geometry and enable even simpler surgical techniques, which will yet again significantly increase market acceptance," noted Max Ostermeier, Managing Director of Implandata Ophthalmic Products GmbH, by way of explanation. "In having realized the EYEMATE system in close teamwork with Fraunhofer IMS, we are now able to advance glaucoma care into the 21st century", summarizes Max Ostermeier on the collaboration with Fraunhofer IMS.